This General model has a tumbled titanium handle with a machined star engraving and a stonewashed blade. Designed as an homage to a Marine Brigadier General, the Medford General offers a rugged, pragmatic design. 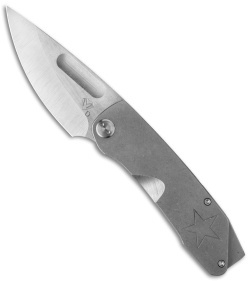 Thick titanium slabs house the hand ground blade with a deep belly and a piercing point. 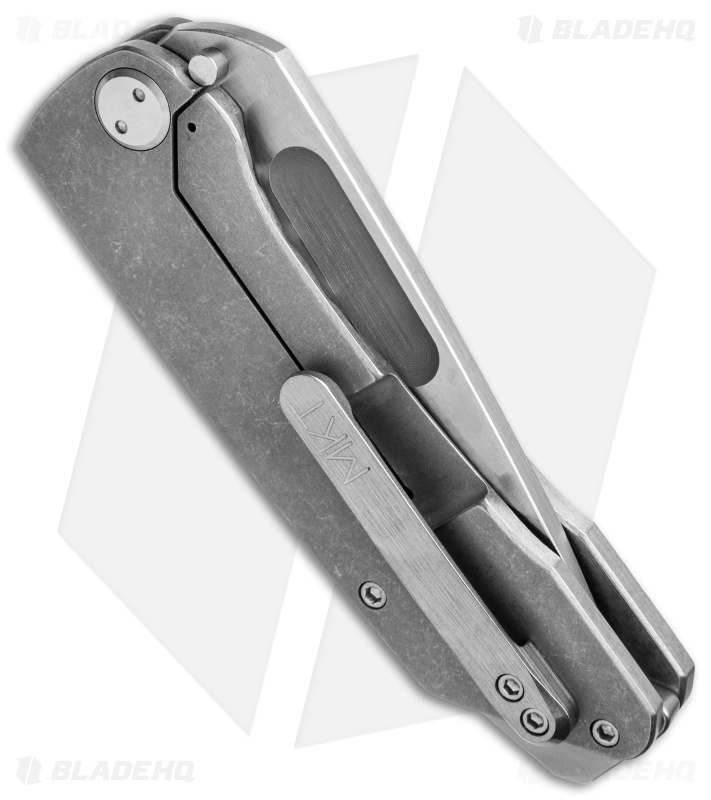 It comes equipped with a milled titanium pocket clip and a hardened backspacer/glass-breaker. 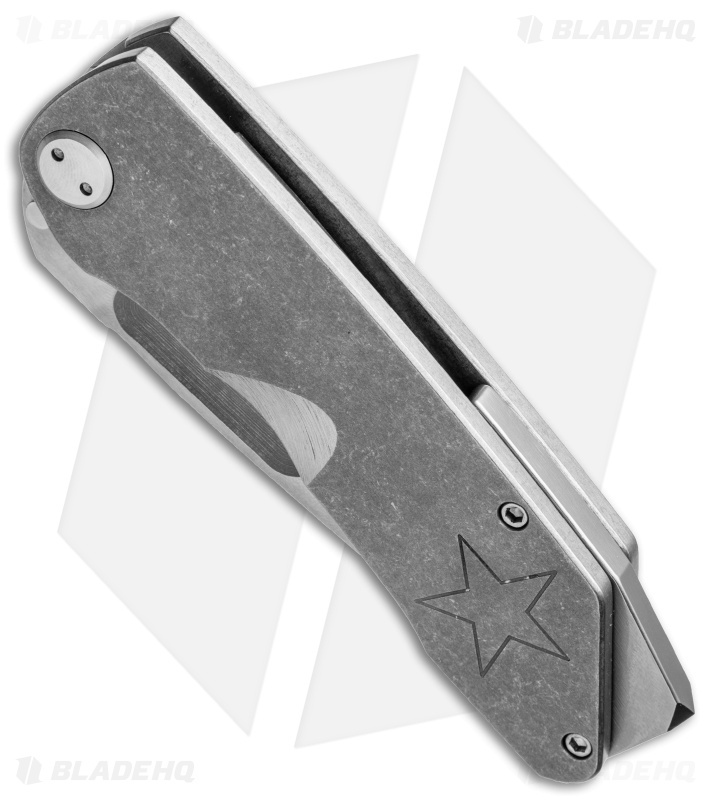 An engraved star and a contoured finger groove finish off the design nicely. D2 blade steel for an extremely strong and durable blade edge.